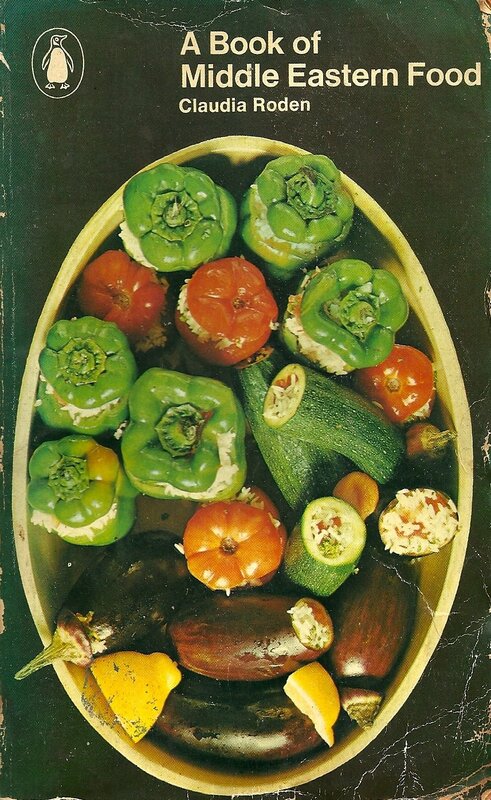 An early version of Claudia Roden’s book on Middle Eastern food. The picture is of dolma (stuffed vegetables), which is one of my favourite foods and strongly reminds me of my childhood. In this post, then, I want to explore some of the ways that we can look at food and memory through archaeology and, in particular, at religious sites in Roman Britain. In his work on animal bone assemblages from temple sites in Britain, Antony King has observed that people ate different animals when they were at a temple to what they ate when they were in other locations. He demonstrates that eating sheep/goat and pig is a particular feature of temple sites, but is a combination that tends not to be found on other site types in Roman Britain (note: sheep and goats are often hard to distinguish from each other, so animal bone specialists often refer to the strange-sounding ‘sheep/goat’). As well as this preference for certain meats, there is also evidence for the consumption of more exotic food stuffs at temple sites, such as oysters, whose shells have been found dumped in high numbers at Chanctonbury and Lowbury, for example. In addition to these clear preferences for particular foodstuffs, there is also evidence that these eating habits persisted over long periods of time. At Hayling Island in Hampshire, for example, there were clear preferences for the consumption of sheep/goat and pig, over ox, in feasting episodes that extended from the late Iron Age into the 2nd century. By sharing the experiences of taste, smell and touch, and possible also vision and hearing, there would have been a lot of potential for the creation of shared group memories through these feasting episodes. The power of memory to create a sense of belonging would also have been useful in elective religions, i.e. in religions that an individual actively and explicitly chooses to join, such as Mithraism or Christianity. In Mithraism, a mystery cult that was particularly popular with Roman soldiers (see Guest Blog by Will Heisey for more info on this: https://notjustdormice.wordpress.com/2014/07/28/pigs-stews-and-eating-taboos-ritualized-eating-and-drinking-in-roman-mithrasim/), those who entered into the cult had to go through a series of scary initiations, which would have encouraged a sense of belonging and shared experience. In addition to these initiations, specific foods are important again. Whereas sheep/goat and pig were the main foods at the majority of temple sites across Britain, the Mithraea at Walbrook (London) and Carrawburgh had, instead, small groups of chicken and pig bones, which appear to represent ritual meals. At the Walbrook Mithraeum these groups of bones were incorporated into the construction layers for floors and features of the temples. The effect of this burial would have been to embed the memories of these meals further into the fabric of the cult itself. This preference for chicken and pig is very similar to that found on the continent. This suggests that eating these foods was a key and distinctive part of Mithraic ritual. ‘Memory in Roman Britain’ in Millet, M, Moore, A and Revell, L (eds) The Oxford Handbook of Roman Britain, OUP: Oxford. ‘From the individual to the collective: religion and memory in Roman Britain’ in Galinsky, K (ed.) Cultural Memories in the Roman Empire, Getty Museum Press: Los Angeles. ‘Memory, materiality and religion in Roman Britain’ in Clack, T (ed.) Archaeology, Syncretism, Creolisation, OUP: Oxford. This entry was posted in New Research and tagged animal bones, Carrawburgh, Chanctonbury, Claudia Roden, feasting, Hayling Island, identity, Lowbury, Marcel Proust, Memoria Romana, memory, Middle Eastern, Mithraism, religion, temple, Walbrook on September 17, 2014 by zkamash2013.